King Power Mahanakhon unveils Mahanakhon SkyWalk – Thailand’s highest 360-degree observation deck and rooftop bar at 314 meters high, offering spectacular panoramic views of the city from Thailand’s tallest building. The new premium attraction opened its doors to the public last November 2018. 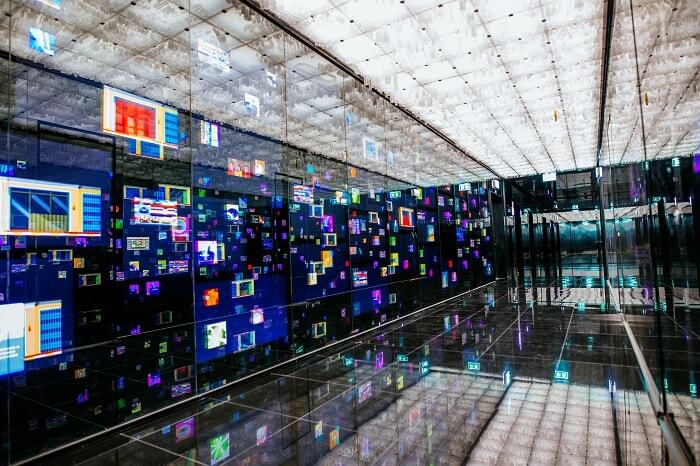 Located on the 74th, 75th and 78th floor of the King Power Mahanakhon Building, highlights of the indoor and outdoor observation deck include one of the world’s largest glass tray floors, Thailand’s highest Rooftop Bar, and Thailand’s fastest video-themed elevators—which allows visitors to ascend to the 74th floor in 50 seconds. 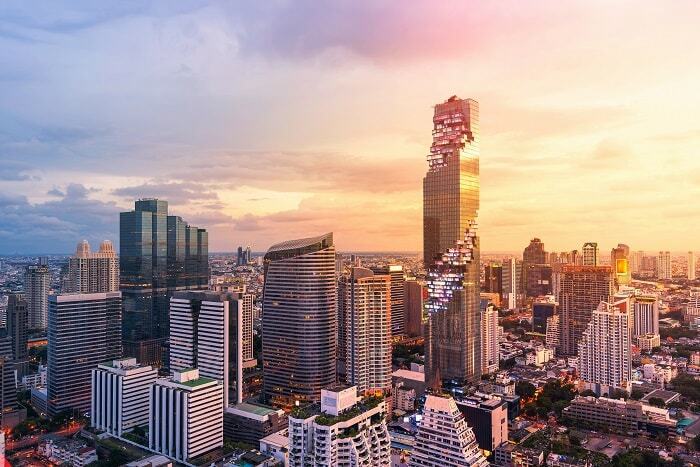 Located in the heart of Bangkok’s central business district and directly connected to Chong Nonsi BTS station, the attraction is to become a global landmark destination that transforms Thailand’s tourism scene into a truly international force. • 74th Floor: Indoor Observation Deck. Experience 360-degree panoramic views and learn about Bangkok’s key landmark destinations through interactive screens and an Augmented Reality experience. Send postcards to loved ones from Bangkok’s highest post-box! 1. King Power Duty Free and Retail Shops (Floor 1-4) One of Asia Pacific’s leading centers for duty free goods, world-class brand name products, exclusive Mahanakhon SkyWalk souvenirs, international quality Thai products and creations, and an array of lifestyle products. 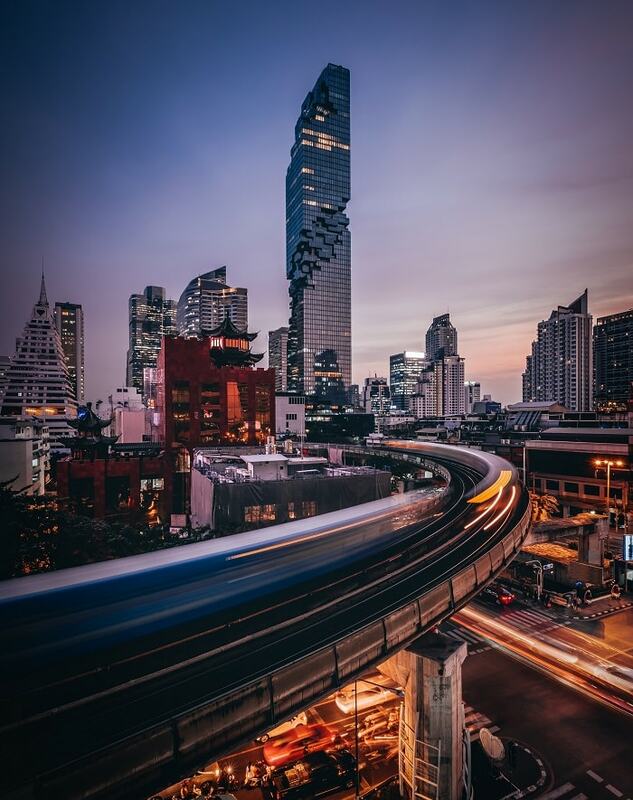 Bangkok’s newest iconic landmark and destination, Mahanakhon SkyWalk is Thailand’s highest observation deck, offering 360-degree panoramic views of Bangkok at 314 meters from the ground, one of the world’s largest glass tray floors, and Thailand’s highest rooftop bar. 5. Mahanakhon CUBE Mahanakhon CUBE provides some of Bangkok’s best dining experiences, with a showcase of leading international restaurants, café and gourmet products including Dean & Deluca’s flagship store, M Krub, and L’Atelier by Michelin star chef, Joël Robuchon. Wow! The skyline is just beautiful! I would love to make it back to Thailand one day soon! Oh you must! Thailand is one of the best destination in Asia! OMG!!! No way would I be able to look down that glass tray floor. I'd be way to scared! But I'd love to go up to the rooftop bar. I ave no doubt the views over the city would be incredible, especially with all the lights. I reckon I'd love the CUBE too with all the dining experiences. Thanks for sharing! 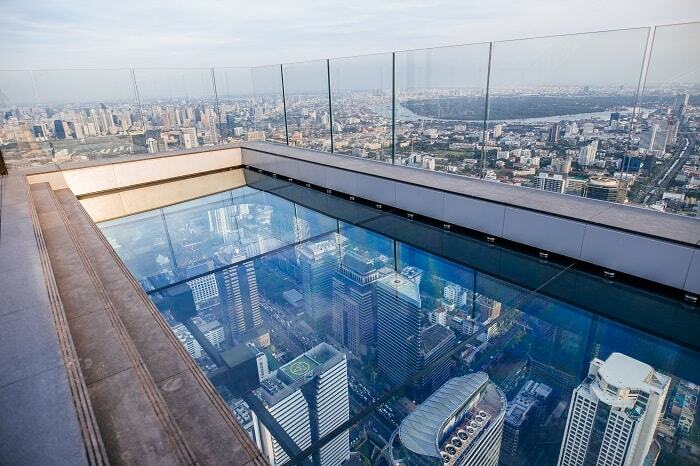 Hahaha I think I will pee coz of fear and excited standing on that glass floor! But this is one of the newest attraction in Thailand. I imagine that this could be a great spot for weddings too! Bangkok has some really cool buildings. I have crossed by this building many times but never ever visited this. Instead, I had stayed in Baiyoke Sky Hotel that has a revolving deck tower on its 84th floor. This experience seems to be similar. Wow, not that's what you call a view! It's been many years since I was in Bangkok, and I remember visiting many rooftops then. Would love to check out the views from the top if I ever return. 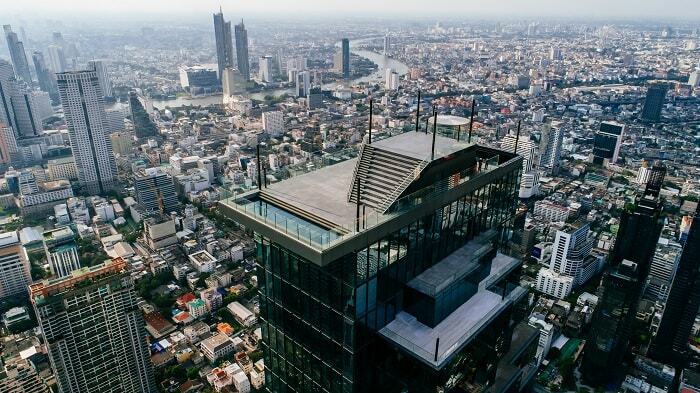 I bet the views from this Bangkok tower are absolutely amazing! The clear tray flooring deck sounds scary to someone like me. But I really like how much they’ve packed into this building, from the shopping to the hotel to the Ritz Carlton residences. I wouldn’t mind having a drink at the rooftop bar and seeing the city. Those elevators go so fast! Amazing! Yeah I find this view a very romantic one (when I am with my boyfriend!). I am excited to visit this place very soon! This definitely looks like one of the most beautiful skyline views in Thailand! I would love to visit next time I am in the area. The glass try looks very cool, but might make me a little scared of heights looking down. I am not a big fan of man made structures. But, this is certainly an exception and looks pretty stunning! Hope you can visit it anytime soon! Don't forget to tag your bestie! The panorama of the city from this vantage point is simply amazing! I would love to be there and see it. Fantastic photos! I agree! That glass floor is quite intimidating but that is the most glorious part of the Skydeck! Oh my gosh this looks amazing! What a view from the top. And I'm so curious about the themed elevator experience! I think any augmented reality experience would be so spinny - especially that high! That's pretty awesome though and very unique. That glass tray floor sounds just a wee bit scary. I've done the SkyWalk at the Auckland SkyTower - the tower itself is 300m+ but the platform walk is just under 300m. Still pretty scary! I think you will like this Mahanakhon Skywalk too! Wow those views are out of this world! I would honestly be a tad scared to stand on the glass looking down but would be worth it! Yeah but sometimes the beauty is up above! Wow, this is truly exciting and interesting. I didn't know that there's something like this in Thailand. If only I knew about it before my visit last year, I would have been here. This Mahanakhon Skywalk is tempting me to go back in Thailand soon. I love the panoramic view that it has to offer.